Posted by Lionel on March 13, 2009. As the WBC moves from letters to numbers (pools), let's take a quick look at what the Cubs and Cubs farmhands did in the lettered pool play. Italy lost to Venezuela, 10-1, ending their run. Cubs farmhand Alex Maestri came in in the ninth, well after the damage was done. He threw one inning, giving up a walk and striking out one. But obviously the biggest news was the Netherlands beating the Dominican Republic for the second time, sending them to Miami and the D.R. home. Carlos Marmol was unfortunately one of the goats, if not the goat. He entered the game in the 11th inning after the D.R. took a 1-0 lead. He promptly gave up a double. After getting a groundout, he gave up a single. Tie game, blown save. He then threw away a pickoff attempt, leading to an error on him and the runner to head to third. He recorded a K, then intentionally walked Randall "the sausage basher" Simon. He went full with the next hitter before inducing a ground ball to 1-sack Willy Aybar. Aybar booted the grounder and the game was over. Posted by Lionel on March 10, 2009. Korea defeated Japan in a shocker, especially given the 14-2 drubbing Team Japan had handed Korea two days earlier. Fukudome batted 7th again and started in CF. He went 1 for 3, bringing him WBC BA to .286. Japan will head stateside and play in San Diego on Sunday. Vince Perkins started for Team Canada against Italy. Perkins struggled. In just 2 innings pitched, he walked 4 and gave up 3 hits. That lead to 3 runs, 2 of them earned, and the loss for Perkins. Team Canada was eliminated. Corey Koskie and Geo Soto didn't play for their teams on Monday. Actually, Koskie didn't play for Team Canada whatsoever. What it takes to be a Cubs Fan...just a thought. Posted by Arthur on March 9, 2009. 1) Loyalty for the team...no matter what. 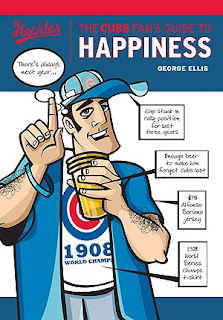 2) Flexibilty in the weather, in the lead off spot, in our relief pitching, in the ownership, in the rising beer costs, in the parking and in the loose morals of some of the fans. 3) Knowledge of the game, the team and history. 4) Respect of the past and the fans that come before us. My dad doesnt like seeing back tattoos or girls that are passing out at games...respect it. Of course nothing makes me an expert in this, except for the fact that since I could remember I watched the game on WGN and listened to it on the radio at the exact time. I've travelled to spring training and enjoyed the game at its finest. I've seen the minor leaguers play when they are in town. I host Lionel and Jumbo a weekend a year to celebrate our blog and the team. I made my nephew learn the players and how to play the game. I've broken up with a girl because she was a sox fan. 1) you are a fan and so are we...dont ruin the experience. 2) enjoy the park...it has been here for years. 3) if you see my dad...by him a coke. 4) wear your red and blue with pride. 5) Murphy's bleachers for pre-game. I am sure someone has additional things to add to this list. But I am a simple fellow. I want my Old Style, a bag of seeds and good friends to share in the great Chicago past time of wrigley field and the Chicago Cubs.